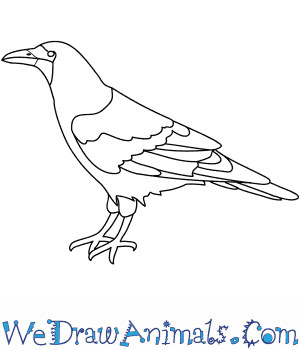 In this quick tutorial you'll learn how to draw a Rook in 8 easy steps - great for kids and novice artists. At the bottom you can read some interesting facts about the Rook. Step 1: To draw your Rook, you will need to start with the head. 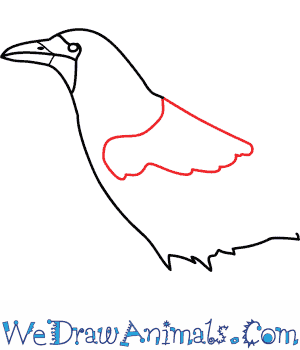 For the head draw two curve lines attached together with a triangle for the beak. 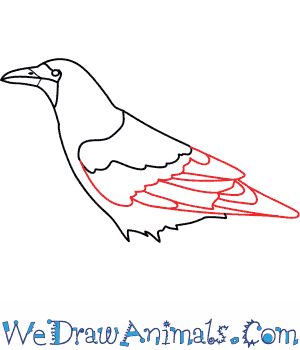 Step 2: Now you will want to draw the face of the Rook. 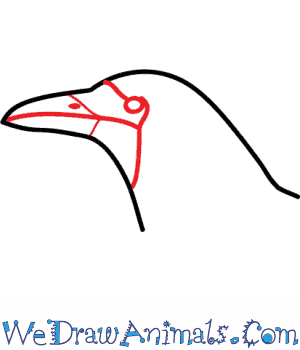 To draw its face, draw a small circle for the eye, and a line through the beak. 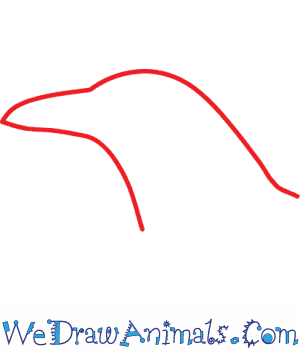 Add two lines intersecting with the line that separates the beak. Step 3: The next step is to draw the body. Start with a curved line that comes out from the bottom of the head. Next have a jagged line connect at the bottom. 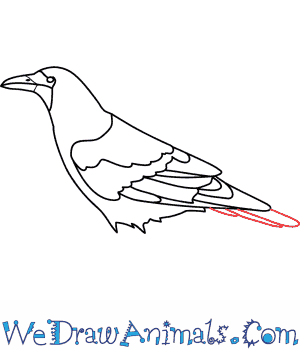 Step 4: Now you will want to draw the top of the wing, using a straight lines, curved line, and jagged line. Step 5: Next draw the other parts of the wing by drawing a mirror image of the top wing and drawing increasingly longer semi circles inside each other until it extends past the body. Step 6: To add on the tail draw three elongated semi circles stacked up on top of each other. 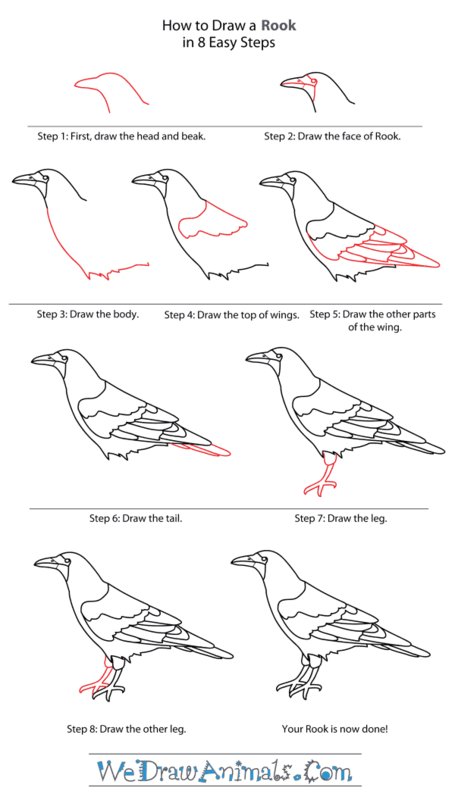 Step 7: The next step is to draw the leg. Draw the leg and add three long semi circle shapes to represent the toes. Step 8: For the final step draw the other foot. To do this draw a foot similar to the first and place it directly behind the first foot. 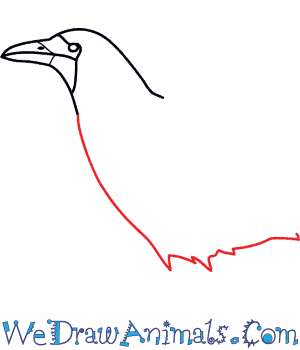 You have now successfully drawn your Rook. The Rook is a member of the bird family and the scientific term for them is Corvus frugilegus. Their name comes from the habit that they have in nesting practices, sharing living spaces as in the term rookery. The word frugilegus is Latin and means “food-gathering.” They are related to the Crow with shiny black feathers, except a little smaller in size. This species is over 1.5 feet in length. They have babies that lose facial feathers in 6 months. The bird was imported to New Zealand in 1862. They stopped being imported to New Zealand in 1874. They typically live in the 60th Latitude range. They have up to 5 eggs at a time. The creature can hatch their eggs after 16 days. They eat mostly earthworms and insect larvae, but also fruit, mammals, acorns, other birds and their eggs or babies, and animals that have already been dead. When they’re near the beach or in a residential area, they can feed on crustaceans and human trash. There are not many of these creatures, but they’re the least concern for a possibility of extinction.